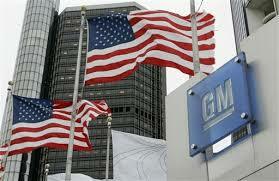 DETROIT — Ford is recalling 100,610 vehicles in North America for various safety defects. The company announced the six separate recalls Tuesday. No injuries, accidents or fires related to any of the defects have been reported, Ford said. 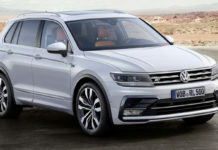 The largest recall, of 92,022 vehicles, affects the 2013-2014 Ford Taurus, Lincoln MKS and Police Interceptor sedans; 2013-2014 Ford Flex and Lincoln MKT crossovers; 2012-2014 Edge crossover and 2014 Lincoln MKX crossover. Ford says the right-hand halfshaft, which is part of the axle, isn’t properly seated and may disengage over time, making the vehicles inoperable. The vehicles are also at risk of rolling unexpectedly if they are parked without the parking brake on. Ford will notify owners of the vehicles in the halfshaft recall by mail beginning the week of Aug. 25. In all of the cases, dealers will repair the vehicles for free. • 5,264 2011-2014 F59 commercial stripped chassis. The company says corrosion in the electrical junction block could cause the vehicles to short circuit, increasing the risk of a fire or the loss of electrical power. • 2,124 2014 Ford Escape SUVs. Ford says their panoramic glass roofs have an improperly cured bond that could cause the roofs to leak or separate from the vehicles. • 635 2014 F53 motor home stripped chassis and F59 commercial stripped chassis. The company says the brake calipers may have been incorrectly made, which could result in a leak and a loss in braking performance. • 368 2014 Transit Connect vehicles. Ford says the brake reservoir caps in vehicles shipped to Puerto Rico have European labels that don’t conform to U.S. labeling requirements. • 197 2014 Ford Fiesta subcompacts. Ford says their fuel tanks may be missing an adhesive layer, which could cause them to leak fuel and increase the risk of a fire. 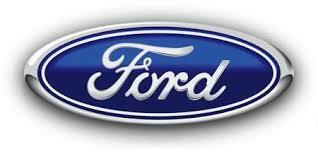 Ford said it identified all of the problems through internal tests as well as warranty claims. Ford will begin notifying owners affected by the five additional recalls this month.